Green tea and I have an interesting relationship, I find it to be a little bit fickle in terms of proper steeping because it can easily burn and oversteep and then you wind up with this bitter, sad cup of tea. It’s a love-hate relationship and often times I wish green tea was less picky about things like water temperature and steeping times, but I digress. 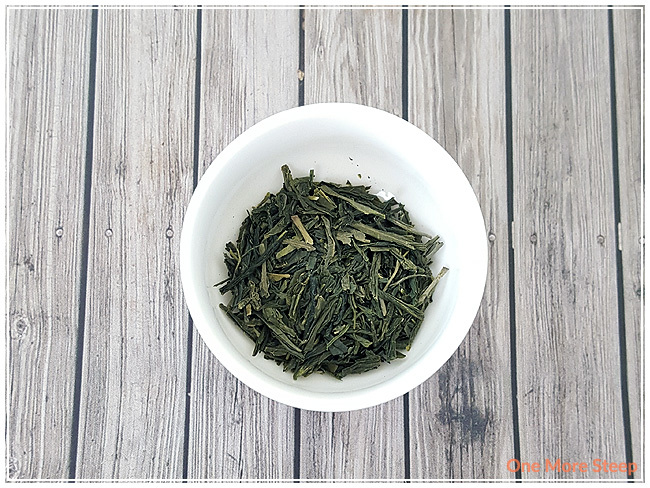 Onto the review of Japanese Sencha! Japanese Sencha smells like a mix of grass, salt/ocean, and spinach. If you’re a fan of spinach, this might be a tea for you! The saltiness in the smell reminds me a lot of going to the beach and smelling that fresh salty air. It reminds me of seaweed and salt water. Japanese Sencha is made up of: “fine organic steamed Japanese green tea from Mount Fuji, Japan”. Mount Fuji, according to Wikipedia, is the highest peak in Japan, and is also a volcano that last erupted in 1707. I imagine that last eruption would have made the soil quite fertile on the mountain, which would make it ideal to grow on (albeit perhaps a little dangerous, although not having an eruption for 300+ years probably makes a person less worried). DavidsTea recommends steeping in 80°C (176°F) water for 2-3 minutes. Because it’s a green tea and I’m wary of oversteeping, I steeped for just two minutes – life is too short for a bad cup of tea. Japanese Sencha steeps to a very pale yellow-green with a very light scent to it. The taste of this tea is very smooth, the taste of the steeped tea matches the dry leaf very well. It tastes a bit salty, a bit grassy, and reminds me of spinach. The saltiness reminds me a lot of the ocean and seaweed snacks. No bitterness when steeped for two minutes, it makes for a very pleasant cup of tea. Japanese Sencha holds up pretty well for resteeping. I resteeped it twice (2½ and 3 minutes for each resteep). The tea itself taste the same, although it does begin to fade in terms of flavour in the second resteep. I would say that Japanese Sencha is good for a total of three steepings. 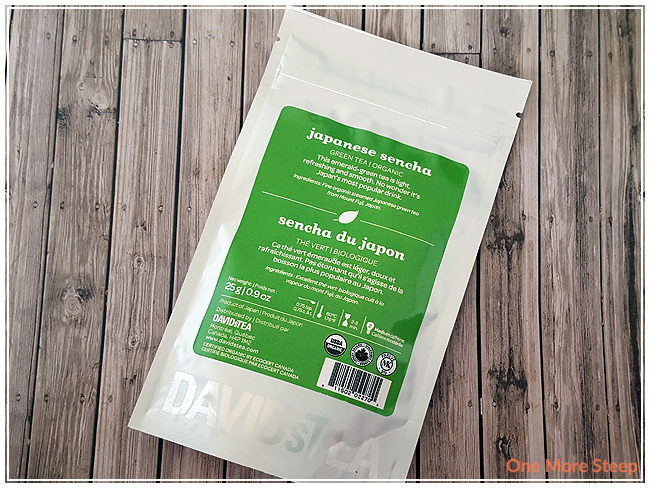 I liked DavidsTea’s Japanese Sencha. It resteeps fairly well, and tastes great – if you like a bit of saltiness in your tea. It’s great plain, I wouldn’t add sweetener or anything like that to it (unless you really wanted to, of course, then go for it). 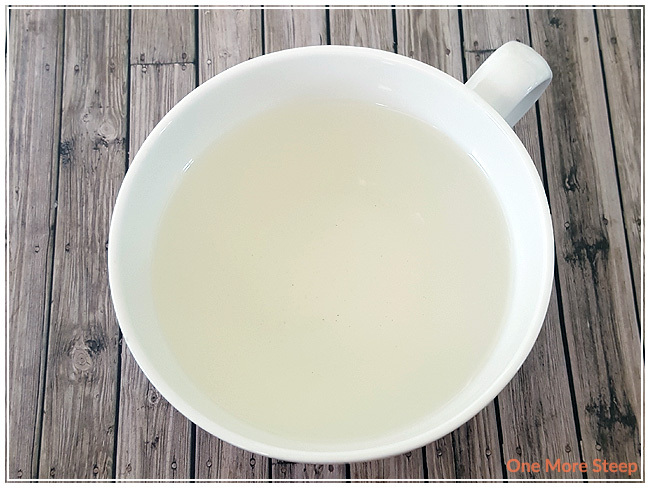 My biggest advice for this tea would be to keep your steeping times low to avoid burning it (really though, that’s my advice for all green teas – don’t burn it!). It’s an enjoyable green tea though, and I quite like it. I’m not overly fond of the spinach-y flavour in the tea though, despite it tasting fairly good, so it’s not something that I think I would be reaching for on a regular basis. Still, it steeps well (and resteeps well), and reminds me of the beach, so it still ranks up there as a good cup of tea!